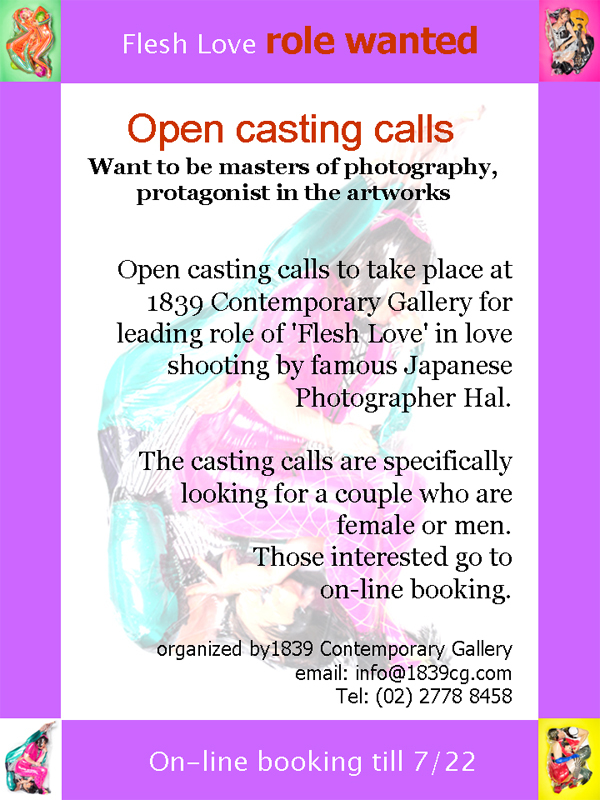 Open casting calls to take place at 1839 Contemporary Gallery for leading role of ‘Flesh Love’ in love shooting by famous Japanese Photographer Hal. The casting calls are specifically looking for a couple who are female or men. The love shooting will be held in early August, at 1839 Contemporary Gallery. Details will be informed before the event to come.